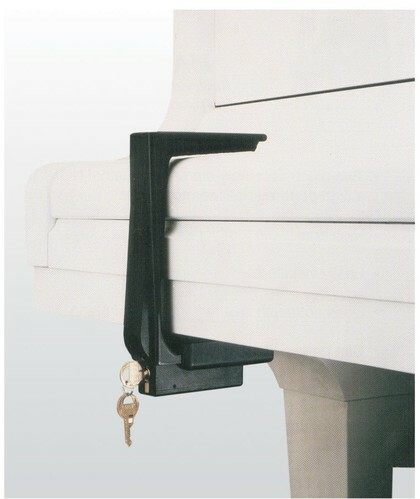 Piano locks are a great way to protect your piano from unwanted use. Perfect for schools, churches, studios, banquet halls, and noisy children, these easy to install piano locks are the best say to keep your piano lid shut. We are often asked "which lock is best?" The truth is that both locks will do the job, but of the two, the lucite lock is heavier duty, and in my opinion looks a lot better attached to a piano. The advice I give people is, if the piano is going to be in a visible area and if aesthetics are important, it's worth the extra few dollars to get the nicer looking lock that does not have a pad-lock hanging off it. 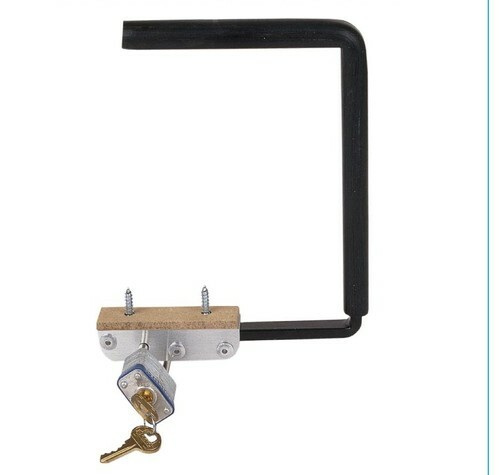 If the only thing you need to do is keep the piano lid shut, then the cheaper jaras piano lock will work just fine. How to choose the right piano lock.